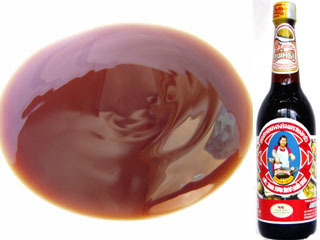 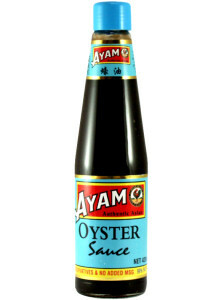 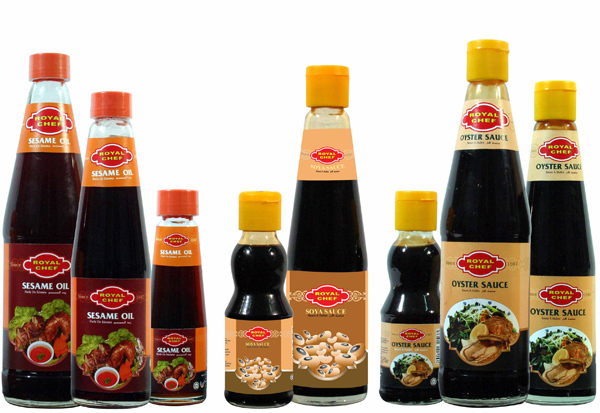 Oyster sauce (Literal meaning oyster oil/liquid) a number of sauces made by cooking oysters. The most common in modern use is a viscous dark brown condiment made from sugar, salt and water thickened with cornstarch, flavoured with a little oyster essence or extract and some versions may be darkened with caramel, though high quality oyster sauce is naturally dark. 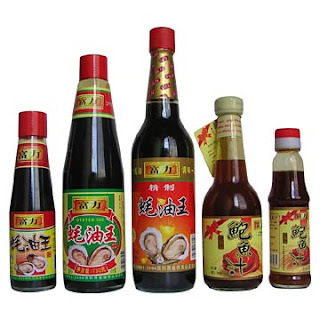 It is commonly used in Cantonese, Thai, Vietnamese and Khmer cuisine.